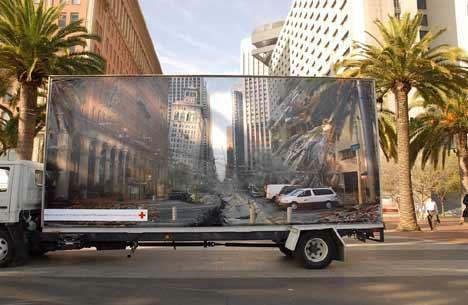 This impressive illusion was created as part of a campaign by the American Red Cross to raise awareness with regard to earthquakes. 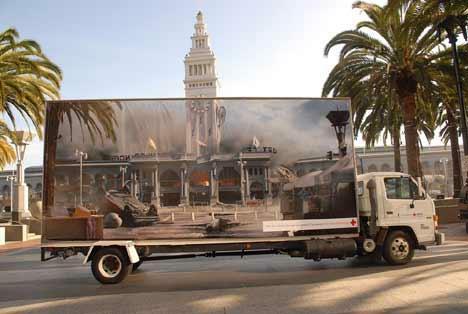 The vehicle is painted to show an earthquake ravaged version of the buildings behind it which in this case is at Justin Herman Plaza in San Francisco. 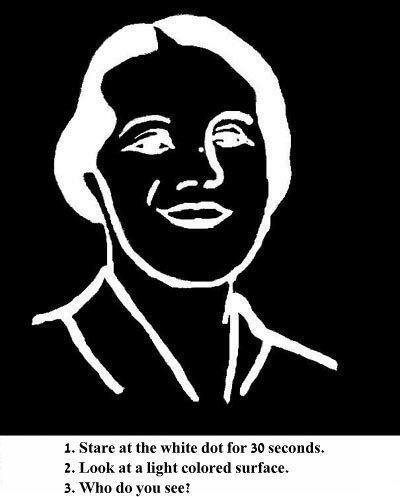 As per the instructions included in this afterimage, try staring at the white dot at the center of the picture for 30 seconds and then glance at a light colored surface. 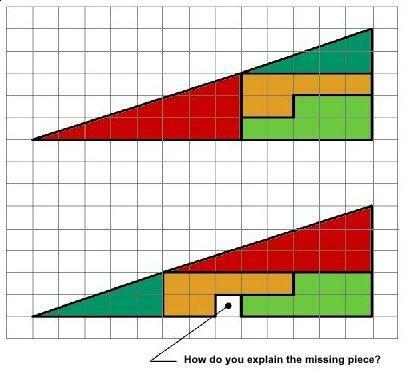 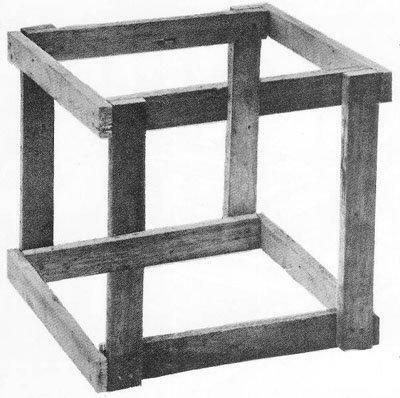 Here's an absurd and completely impossible wooden crate, a different take on the classic impossible triangle illusion.